Why Should You Re-Upholster ? Saving money is the biggest reason clients keep using our reupholster service and if you have good quality furniture that is now looking worn out and seen better days, re upholstery is the best way of retaining your quality frame and style of your furniture and recovering and reviving the outside material and padding to a like new feel. your much loved piece of furniture will be stripped to its original frame and renovated by our time served upholsterers and craftmen. Click here to visit http://www.reupholsteryexpert.co.uk/ to discover more ways to ReUpholster your furniture. You have lots more choice with re-upholstering – more fabric and leather options you can also alter the style of your sofa or chair if required. We can make your 3 seater sofa into a 2 cushion option to modernize the style. Change to a piping sewn finish instead of a plain sewn finish. 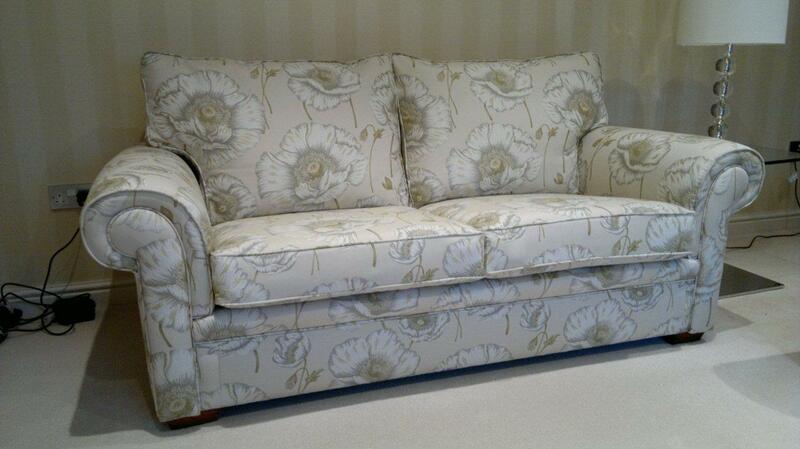 We can cut down or add on to make your sofa or chair size as you require. Back cushion heights can be altered to suit you. Different leg or castor options available on request. Skirting can be taken off or added including fringing options. Our friendly representative will visit you and show you sample books and discuss your requirements. No pushy sales techniques just good honest advise and we will quote on your requirements. Our team will collect and wrap your furniture and take it to our workshop. The re- upholstery team will set to work on cutting your coverings and upholstering your furniture like new again. Repair any damaged frame works and tighten and make good again. Replace all seat springs or webbings – arm foams etc and make good generally. Supply new high density foam seat cushions or new fibre / feather filled cushions where required. Or we can re-stuff your old fibre or feather interiors with new fillings if required. Then using your chosen quality fabric or real leather we upholster your furniture like new again.